Studio 5 launched in 1991 as a marketing and design agency and recognized the power of the internet in 1995 ahead of some of the larger companies one might expect to embrace such technology like Microsoft themselves. From the beginning Studio 5 understood the future significance and impact the Internet would have on how businesses go to market as well as the impact on the world at large. Immersing ourselves in website development and programming as well as understanding online trends and behaviors has provided insights and experience rivaled by few. As the Internet grew so did Studio 5, with an expansion of services including the creation of proprietary content management systems, e-commerce, SEO, Web Systems and mobile app development. Additionally, understanding online efforts need to be integrated into an overall marketing plan, Studio 5 has developed strategic relationships with other marketing partners to create a portfolio of agency services for our clients. But it is not just all about building websites and mobile apps—it is really about building trust. So much so that when asked, “What do we do?” our response is “We build relationships first so that we may build your brand and grow your business together”. 25 years later Studio 5’s manifesto is more important than ever and the spirit from which it was developed is central to our culture ... and success. Every client, regardless of type or size, receives the same level of expertise and customer service. The longevity of our client relationships speaks to our commitment to service - now, for the next 25 years and beyond. I would like to take this opportunity to thank all our clients, especially those who have been with us along the journey. Website, Android and iOS apps were developed in unison for an events and entertainment app to bring together fans, artists and venues. A major project which is continually developing organically. The app works on an adjustable range from the user's gps/ip location with interest filters and other criteria to personalize the user experience. A very special project combining every aspect of web development. The first stage of the project is the website with subscription management, event management and interest based filtering applications. All based around our MVC content management system, in this case developed out to extreme capability, the website is hosted in the cloud with infinite scalability and fail over setup. 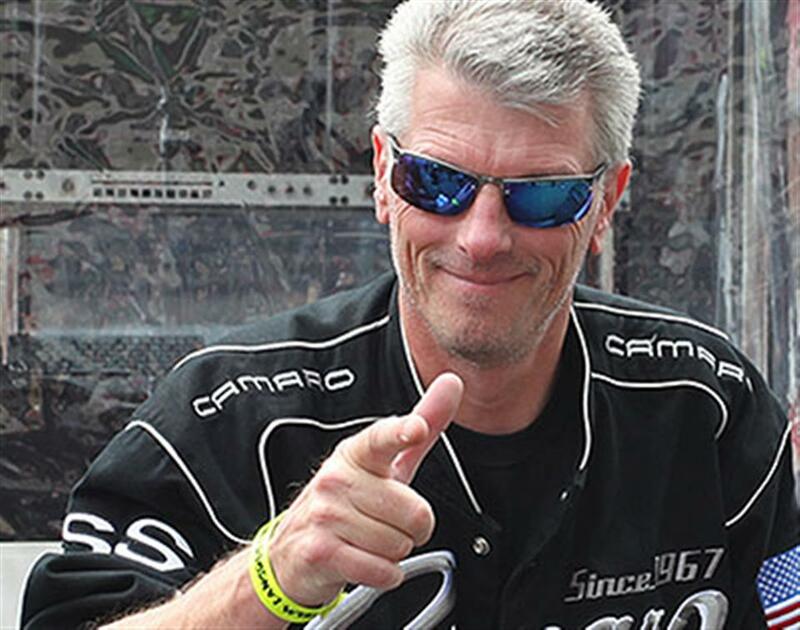 It's been a steep learning curve for the team and the results are astonishing. 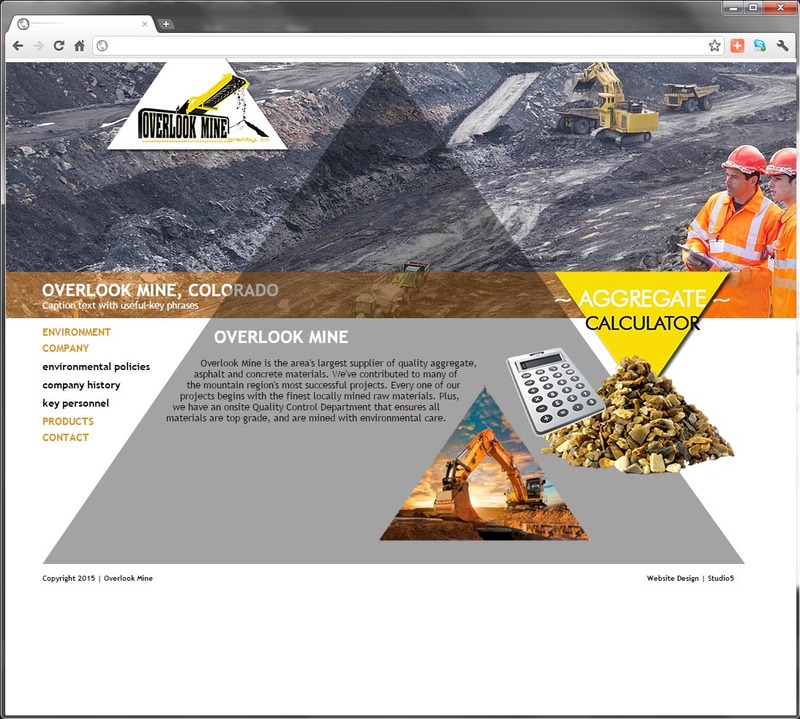 Having completed the beta phase of the website the next phase will be adding more features and location based aspects as the whole concept revolves around the mobile GPS and sourcing entertainment - "what's on where you're @"
A new website for a Colorado Mining Company client. The site includes an online calculator allowing customers to determine what volumes of various aggregates are suitable for the job and of course work out comparative costs. 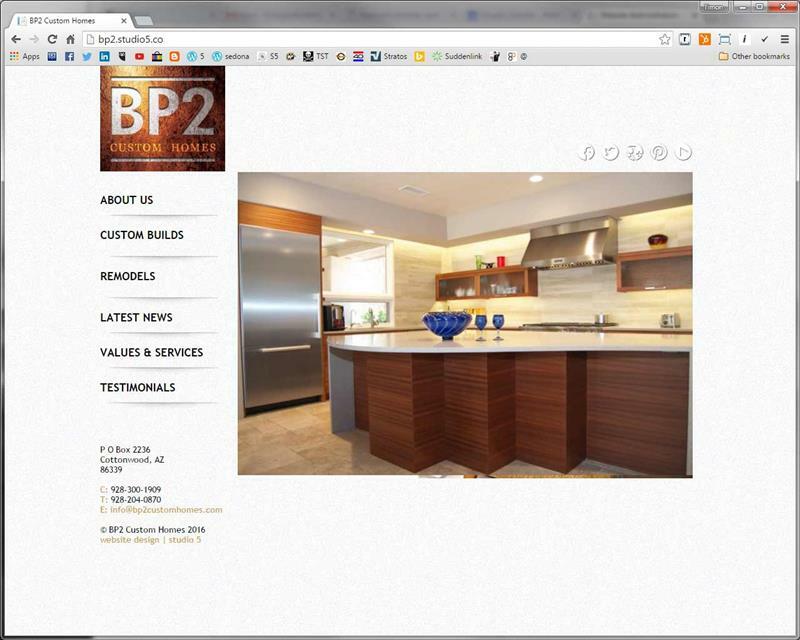 A new website for local Sedona contractor BP2 Custom Homes. 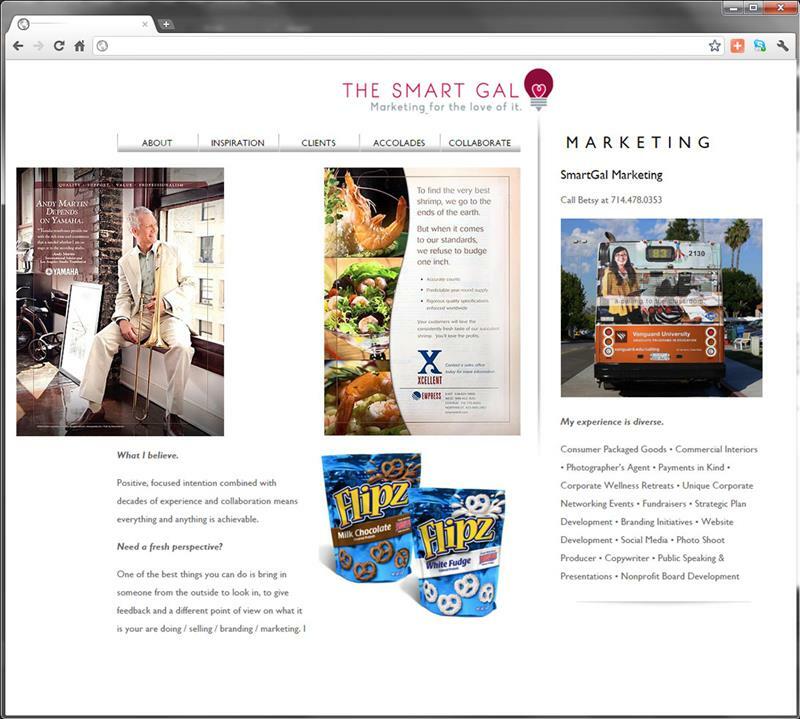 The website includes CMS to allow news updates and new projects to be managed by the client as they complete them. In addition to the website design we are also involved in SEO and SEM work. 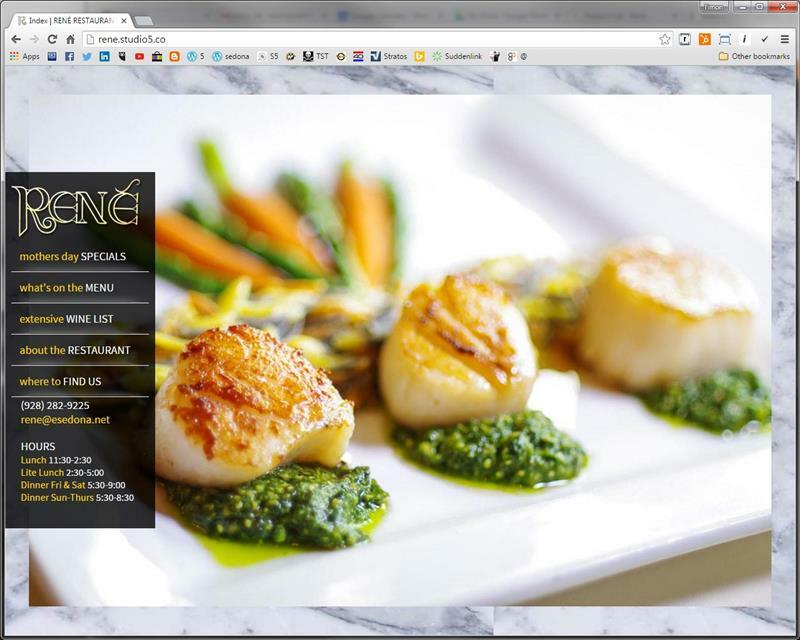 A webdesign project for a Sedona Fine Dining Restaurant involved a new website with full smart phone capability as a mobile friendly website is critical for this particular industry with people on the move and looking for somewhere to eat. 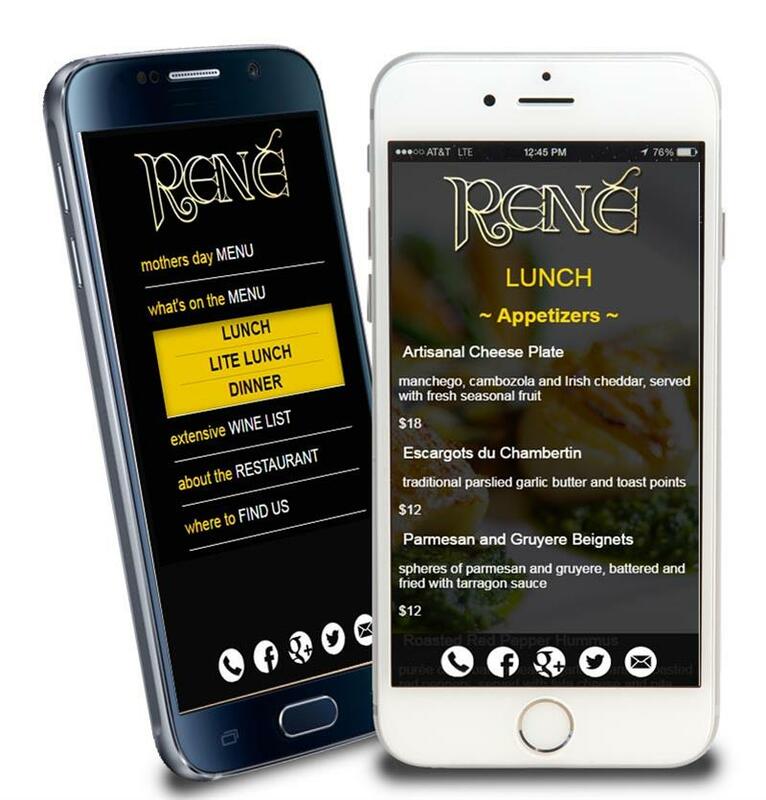 The site uses a fully e-commerce enabled system should the restaurant look to making online ordering something to introduce in the near future. 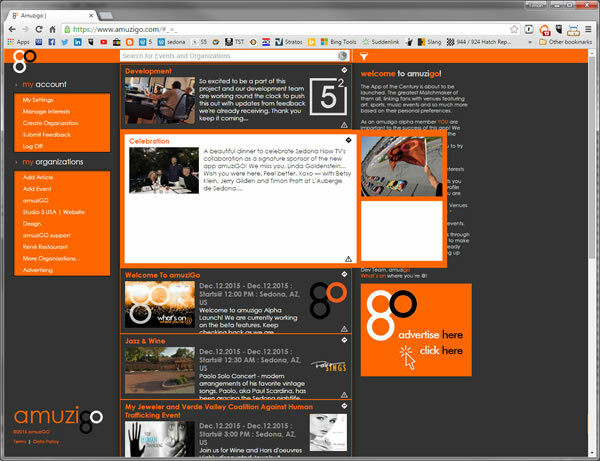 Our SEO and social media management for the client continues and will no doubt be improved by the new website. Don't be fooled by the high percentages quoted for the 'mobile device' audience. 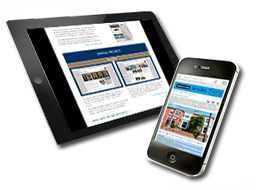 While it does in some instances exceed the desktop and laptop audience this includes tablets which are perfectly capable of displaying most conventional format websites. It's very important to realize that the percentage of the audience viewing websites on smart phones varies considerably depending on the industry and the nature of the website itself. 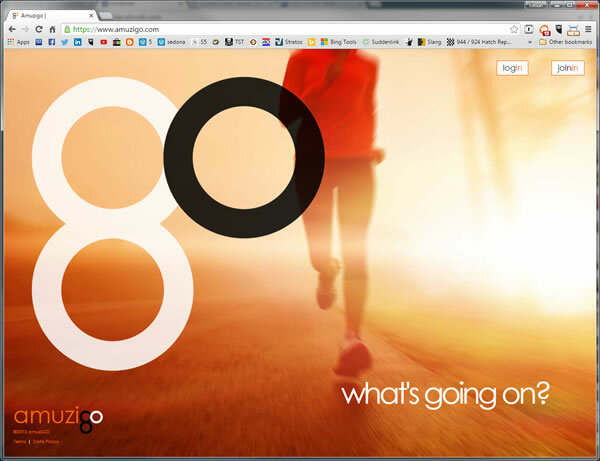 Likewise, there are pros and cons with reactive website design. Generally speaking, compromising the main website for the sake of adaptation to a smart phone device is not necessarily the best way to go. 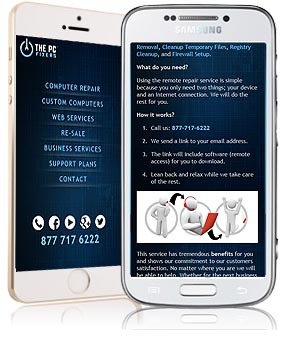 Another mobile development for the recently developed PC Fixers website in Scottsdale, Phoenix. A smart phone friendly version of the website followed quickly on from the main webdesign project build out. Particularly critical for this client to have mobile enabled access to information as many of their clientele could potentially be in a situation where there desktop/laptop is not able to access the internet.